The weekends are a great time to let your down hair and relax. 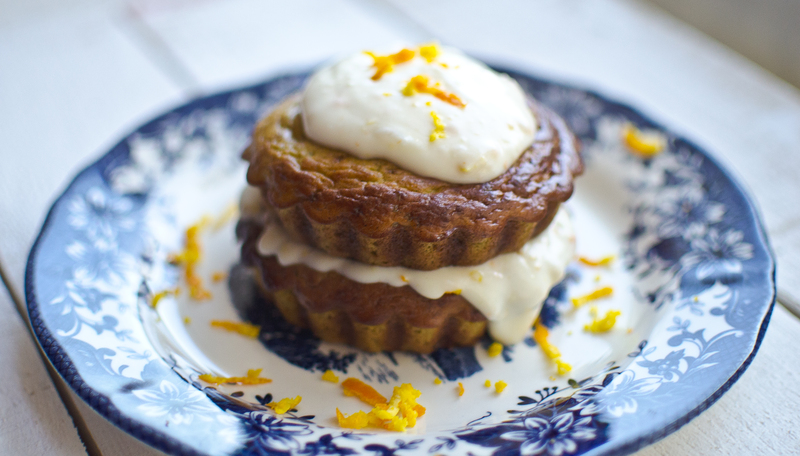 If like me, you like to muster up creative feasts on the weekend these “Baked Pancakes with Orange-Vanilla Ricotta”, will be right up your alley. They are gluten-free; I am not going to say sugar-free maybe no added sugar, because there are bananas in the recipe which do contain sugar. So, bananas are used to sweeten the pancakes. The ricotta is flavoured with orange oil, orange rind, vanilla whey protein, coconut milk (sugar-free) and natvia. These are great healthy weekend treat with added protein to keep you fighting fit after the weekly grind. Coconut Flour, Ecomil Coconut Milk, Natvia – Organic Supermarket Nations Tower. Orange Oil, Vanilla Pod and Saffron – Central Souk beside World Trade Mall. The spice shop beside Nab Juices. Preheat oven 180°c – baking time 20-25 minutes depending on oven. Mash and Mix: in a large mix bowl mash bananas then pop in eggs, coconut flour, milk, vanilla, saffron and baking soda. Mix using a hand blender or food processor until combined. Grease: tartlet tins with coconut oil to prevent sticking. Pour: pancake batter evenly into the four tartlet tins. Place on a baking tray. Bake: in the oven for 20-25 minutes, ovens will vary. Remove from oven when golden brown. Allow to cool and serve up. In a mixing bowl add all ingredients and blitz until well combined. Pop in serving dish and store in the fridge until ready to spread on pancakes.